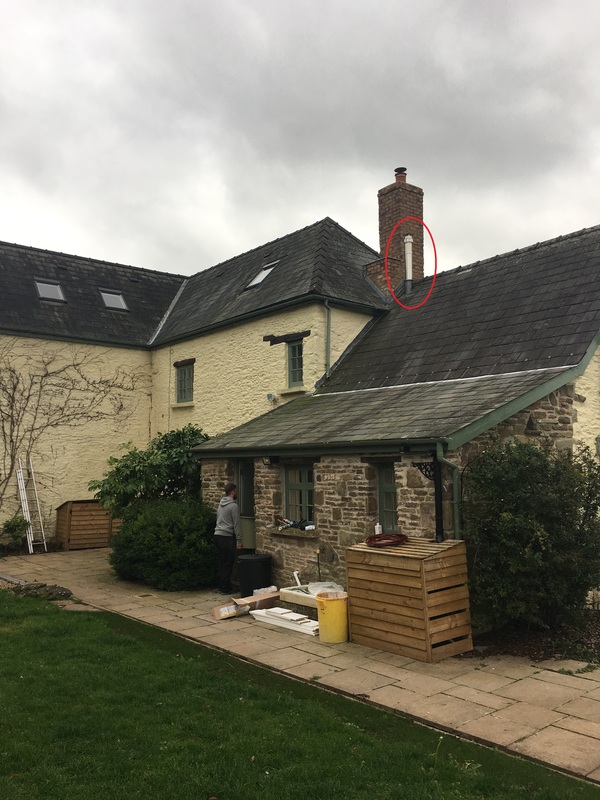 A balanced flue can be used with our wood pellet stoves which allows the air to be drawn down a concentric flue design from the exit of the chimney instead of from the room. 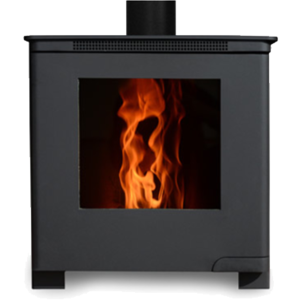 Our Island Stoves have been designed as a wood stove that can use a balanced flue (a flue like a gas combi boiler). Our novel stove design allows lower flue termination heights or even horizontal wall exits. 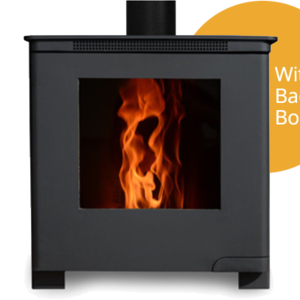 Something that is unavailable in the traditional wood stove market. The problems with down-draughts are also eliminated by the balanced flue design. 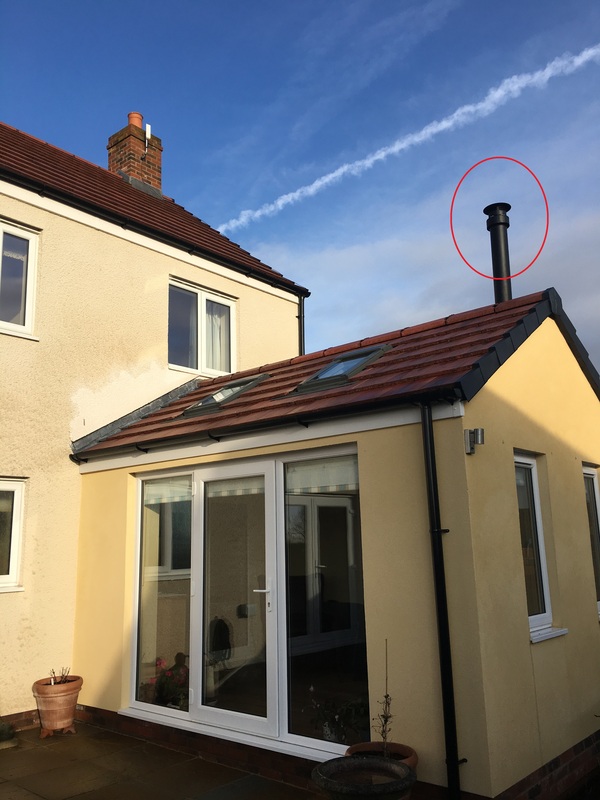 Under the right conditions, the balanced flue can also terminate horizontally. 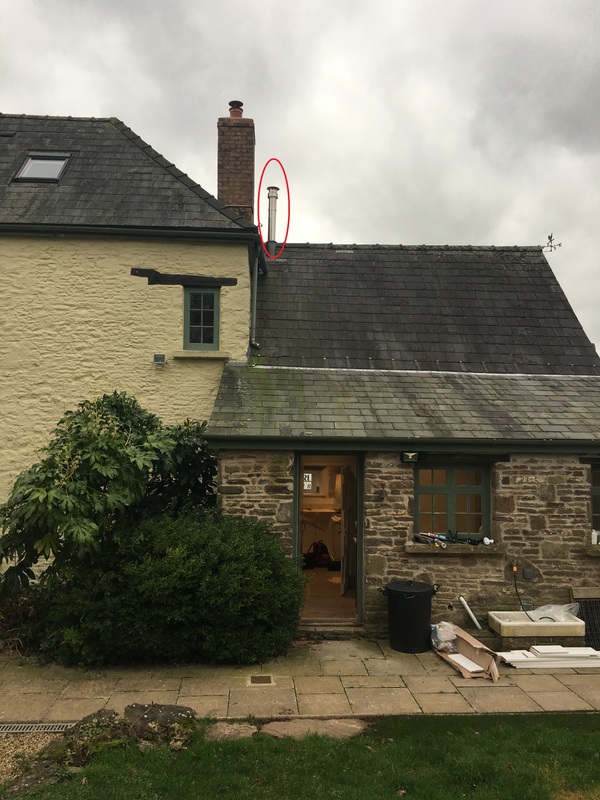 As part of our offering we include a Flue Design Report from calculations using KESA software for balanced flues to BS EN 13384. This can be used to accompany the Building Control application for a shorter flue height. 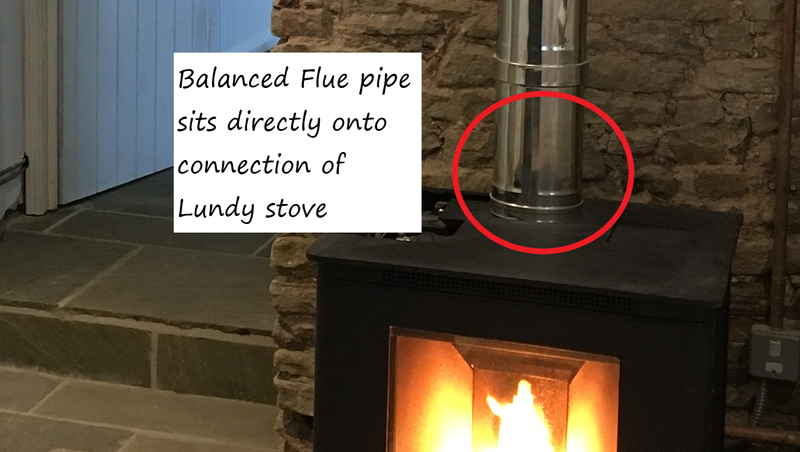 The Lundy is offered with a novel connection for use with a Balanced Flue system (such as Poujoulat PGI Pellet 100/150) – as shown in the photo below.